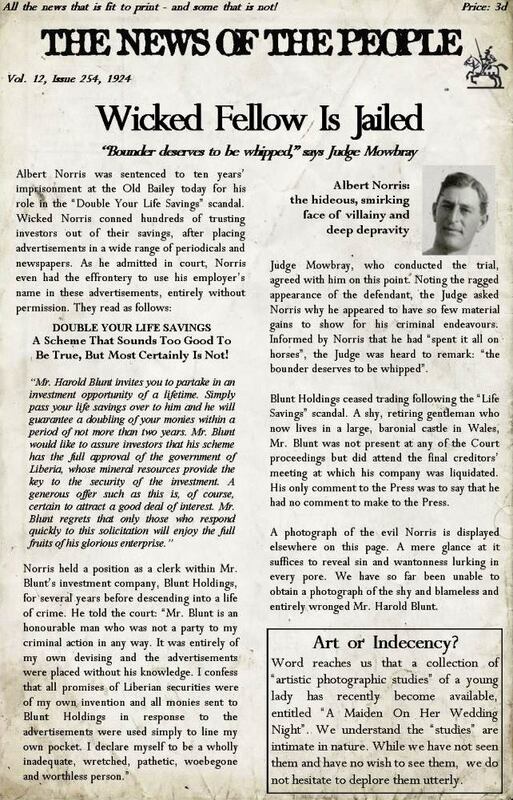 A copy of the News of the People. 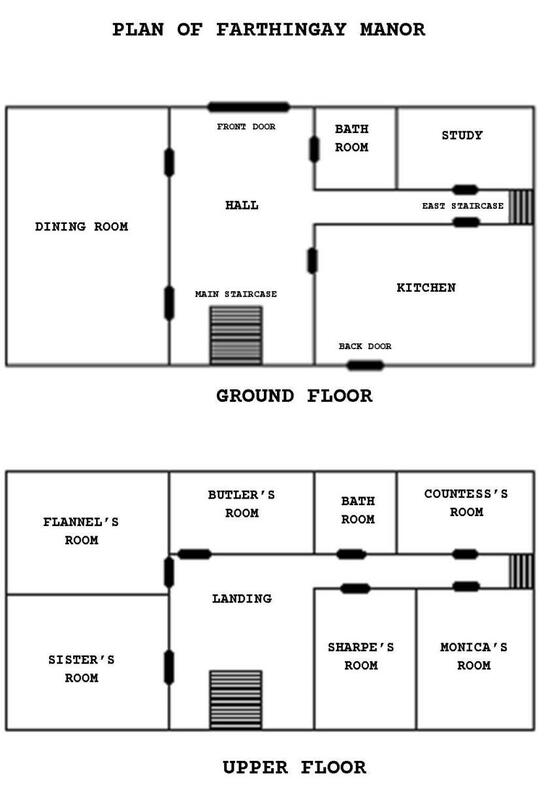 A plan of Farthingay Manor. A step-by-step guide on how to run it. All the other essential paper props. 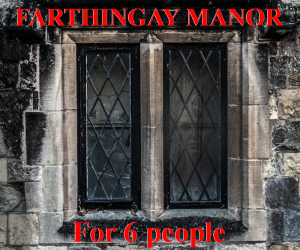 “Murder at Farthingay Manor” is a murder mystery for 6 people, all of whom are given a character in the plot. It is usually run over a meal, with the person hosting the party also playing one of the characters. The characters are all supposed to be attending a country house weekend in England in August, 1924. 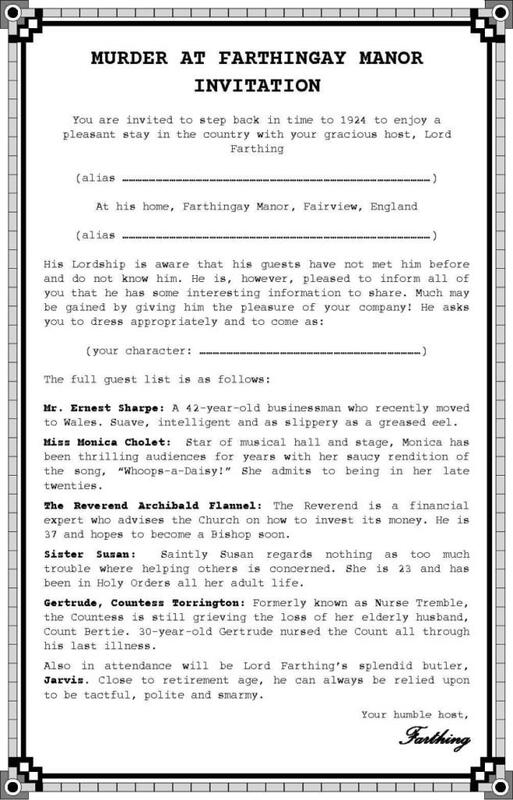 Among them are a vicar, nun, businessman, countess and music hall star, and attending on them is a smarmy, creepy butler called Jarvis. As the mystery unravels, guests question each other (in character) and try to discover what everyone has been getting up to. Information about their own character and clues about the others are given to them, and new plot developments occur while the mystery progresses.